Need it fast? Order within the next for FREE GUARANTEED DELIVERY to mainland UK on Monday! What is the purpose of the Executive Post and Blue Rope Kit? 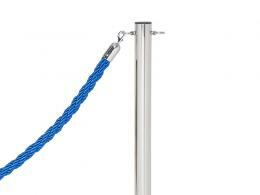 Rope barriers are regularly used for crowd control and queue management. These six executive posts and five blue twisted ropes, fitted with spring-loaded hooks at either end are perfect for elegant settings. The blue ropes are a substantial 1.5m length. 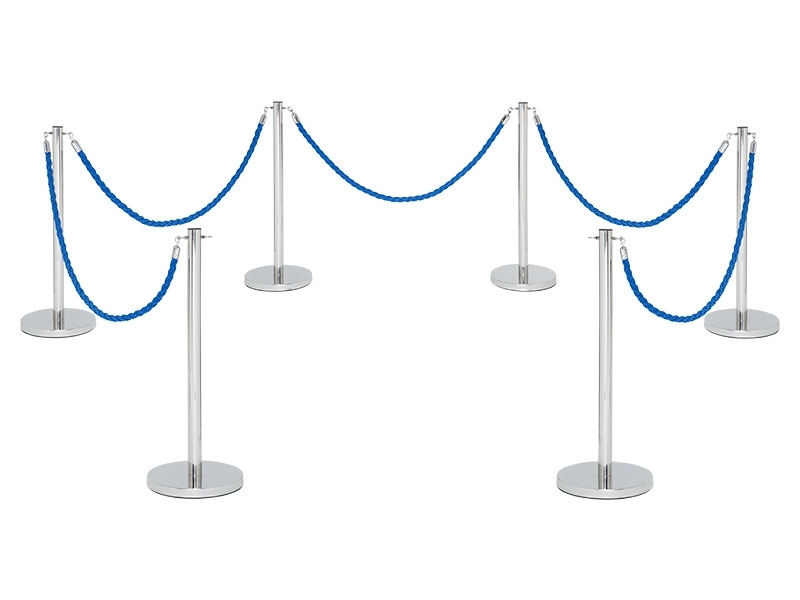 Where can a rope barrier be used? This pedestrian barrier system is a great way to cordon off private areas of venues, to protect exhibits and to direct pedestrians,they make great museum barriers and fantastic crowd control barriers outside bars and restaurants. 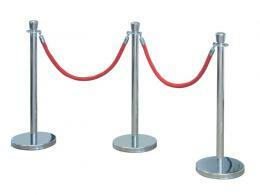 Also used as pedestrian barriers in cinemas and theatres. Who might use Rope Barrier? Event organisers find this barrier system very versatile, museum curators and exhibition managers use this to protect valuable exhibits. Stately home owners use these to section off rooms that they are happy to be viewed but not to be walked around. Can be quickly deployed for anyone wanting to cordon an area off or assist with queue management. Six posts and five 1.5 metre blue ropes supplied. Great for a VIP barrier.